For nearly the past decade, the Certified Medicaid Planner designation has been awarded to competent advisors seeking to set themselves apart in the planning field as the best of the best. Interest in this designation has grown substantially in the last few weeks, partly as a result of new rules issued by the Veterans Administration (“VA”). The new VA rules greatly impinge upon the ability of veterans to get the VA Improved Pension, also referred to commonly as the VA Aid & Attendance benefit. This is a little-known benefit that can be used to help pay for care at home, in a nursing home or in an assisted living facility. While the benefit is typically not as hefty as Medicaid’s assistance, it is paid to the claimant a cash payment. The claimant can be the veteran, the veteran’s spouse, or the veteran’s widow, provided that the veteran served during a period of wartime. The benefit is means tested, but until recently it was rather easy to reposition assets to qualify. Much like the evolution of Medicaid eligibility over the years, the VA has moved to further restrict access to the benefit by punishing those who give away assets to qualify. Medicaid has had some version of this since the late 80’s when it started with a 30-month lookback, then moved to a 36-month lookback in in the 90’s and eventually to a 60-month lookback in 2006. The VA is attempting to mimic Medicaid in several aspects by adopting a 36-month lookback on asset transfers, but starting the penalty the month after a transfer is made. It has also taken the Medicaid’s maximum protected amount for community spouses and adopted that as a bright-line asset test for applicants, currently $123,600. The complexity of the new eligibility requirements will mean that fewer veterans and their families will be able to tap the benefit. For planners, it will drive some out of the business similar to how restrictive rules did with Medicaid planners years ago. Those who choose to continue on with VA benefit planning will need to learn the new rules and start thinking like a Medicaid planner. For some, it has meant to move their practices into Medicaid planning. In the last few weeks, the CMP Governing Board has seen a sizable uptick in interest with many advisors active in the VA benefit arena looking to grow their businesses by adding Medicaid planning. We have resources that can help you add Medicaid planning to your practice, including the largest textbook ever written on the subject, online and in-person educational programs that are second to none, real-time practice mentoring and case development, and back-office Medicaid application services to support your practice. 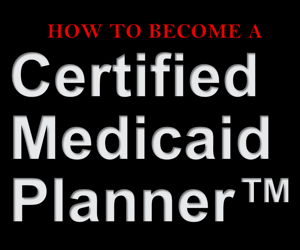 Many planners choose to enhance their practice by getting the nationally-accredited Certified Medicaid Planner designation. To learn more about the CMP designation, click here for a free download of the “How to Become a CMP” brochure.